Thieves have discovered that people are extremely fearful of the IRS and most are willing to do anything to comply. So when they get a phone call from someone purporting to be from the IRS, their first instinct is to go along with whatever they want out of that fear. Thieves have also discovered that the IRS is an easy prey for getting illicit money. All they need is your name, address and social security number which is easy to get on the black market. These criminals use various tactics for getting at your money and your IRS refund. Before providing any personal information by phone, fax or email, familiarize yourself with these popular tax scams and don’t provide any information to anyone until you know that you are for sure dealing directly with the IRS. Calls from the “IRS Legal Department” or similar claiming you need to pay (some odd number) right away to avoid arrest. Calls from the “IRS Audit Department” that you owe money and must pay right away. Calls from the IRS/state wanting a credit card number to pay some tax debt you never heard of. Calls threatening to have the local police contact you about a tax debt. An IRS looking notice or bill that you owe them and to call some number with credit card or bank information to pay right now! With your SSN, name and address from stolen credit card company data files, thieves file for your refund with money going to their account and routing number. Originally, the IRS had no way of knowing this was NOT you, so they issue the refund. They lost billions before they wised up to these usually overseas thieves. Now they cross check other information on your return and if it doesn’t match up, they’ll hold up the refund, until you contact them. States do the same thing. Criminals will use SSN’s from deceased or children to file and claim refunds deposited to relative’s accounts. If you own a business, you might get a notice from Social Security that your filings do not match up with other filed forms, like W-2’s. This can indicate theft. The IRS/state never uses e-mail to collect debt. The IRS/state will never pressure you to give credit card/bank information over the phone. 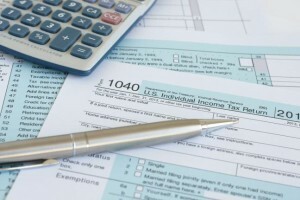 The IRS/state will never require you to use a specific method of paying. You will never be contacted by “Washington DC” unless you happen to live there. The IRS/State will never threaten to arrest you if you do not pay a tax debt. Local law enforcement is never involved in tax collection matters. Always call your CPA if in doubt. He/she will get a POA (Power of Attorney, form 2848) and find out what is going on. Don’t try to handle it yourself.